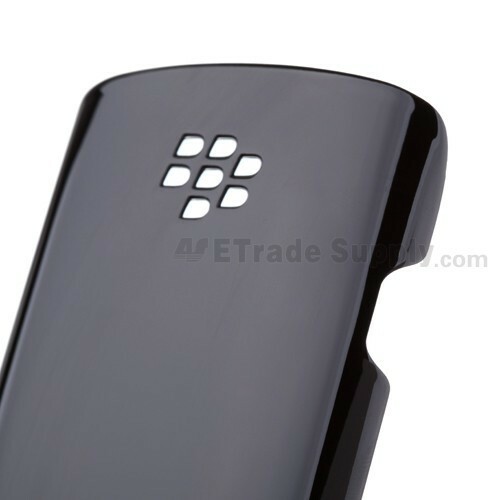 On the front side of Blackberry Curve 9360?9350 battery door, it is bright and lustrous, with curve at each corner. There is a Blackberry logo on the upper part. At the back of the Curve 9360, 9350 back cover, there is antenna. Currently there are two kinds of source of Blackberry Curve 9360?9350 battery door in the market: one is OEM brand new, the other is aftermarket brand new. What ETS sells is OEM brand new. We have close contact to OEM manufacturer agents so as to guarantee a competitive price and the best quality. ETrade Supply has established the ISO9001 certified QC procedure. For each OEM Blackberry Curve 9360?9350 battery door, we apply strict cosmetic inspection and functionality test process before packaging and transportation. 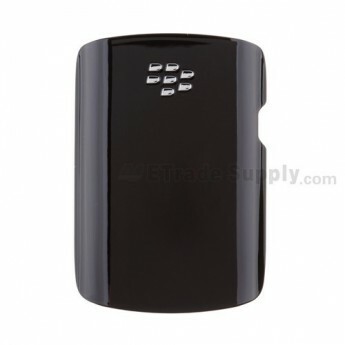 We also invent our own super-protective packaging method to give the maximum protection to the OEM Blackberry Curve 9360?9350 back cover. Apart from this part, ETrade Supply also supplies other For BlackBerry Curve 9360, 9350 Battery Door Replacement ,Black - Grade S+. Installation notes: when install the Blackberry Curve 9360?9350 back cover, please place it right and gently. Please be kindly noted that ETS cannot be responsible for any possible damage caused by incorrect installation. Also, please try to handle the repair or replacement work in dry environment without direct sunlight (the temperature should be kept between -20 ? and +70 ?). Also, please keep the Blackberry Curve 9360?9350 battery door away from acid, alkali or other corrosive materials.